A new capacity-building tool for climate-smart agriculture (CSA) was launched today at the headquarters of UN’s Food and Agriculture Organisation (FAO) in Rome. 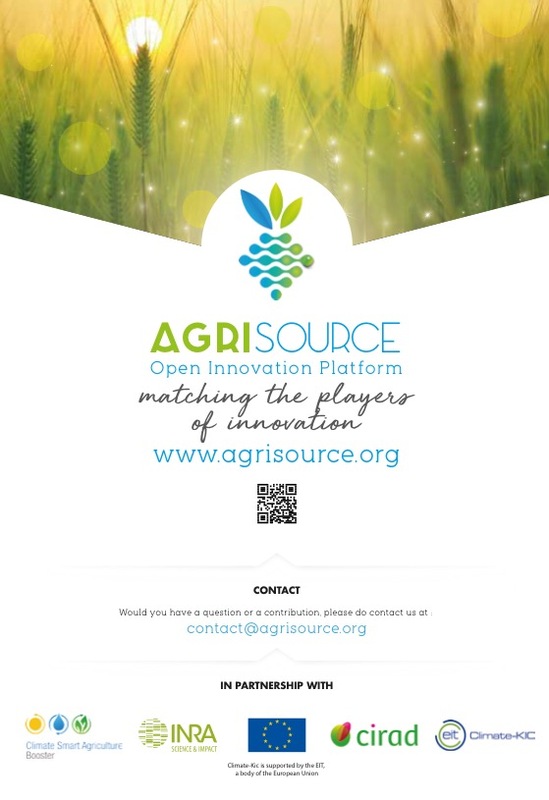 Agrisource (www.agrisource.org) is Europe’s first open innovation platform (OIP) for climate-smart agriculture, developed by CIRAD and INRA, France’s top agricultural research institutions and funded by Climate-KIC’s flagship programme CSA Booster, sponsored by EIT, a body of the European Union. 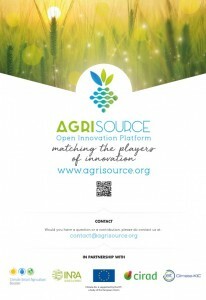 Launching today, Agrisource will bring together international actors (businesses, research institutions, laboratories, trade associations, international agencies, farmers, cooperatives, investors, funds, NGOs, policy-makers, local government and start-ups) in a virtual environment to map, connect and stimulate debate on innovative CSA technologies and solutions, acting as a catalyst and hub for new regional and international projects. It will be a key resource for those seeking information or innovation, and a network hub for those who come with new ideas for climate change mitigation and adaptation from agrifood value chains. This new capacity-building tool connects and maps inter-related research and innovation programmes and combines a powerful search engine and expert community content to foster public-private partnerships in climate-smart agriculture. The new platform offers a systemic approach to sustain CSA and drive cross-sectoral transformation across international agriculture and food value chains. CSA Booster is Europe’s leading knowledge and innovation hub pioneering the transition to climate-smart agriculture and food across Europe, and around the world. As the EU regional alliance for the FAO’s Global Alliance for Climate-Smart Agriculture (GACSA), it will actively promote engagement across its ecosystem of expert research communities and innovation networks to drive engagement and uptake of the new Agrisource platform. CSA Booster’s initial content on the new platform focuses on fruit, dairy and wine value chains but Agrisource will expand to include new value chains as more communities generate content. Agrisource resources are currently available in English and French, with additional languages and new functionalities already under development. For more information visit www.agrisource.org or email contact@agrisource.org to subscribe, join and engage with our growing Agrisource community.